The Casino bonus. Maybe you already noticed: every online casino advertises it. Online casinos give a new extra bonus to new deposit customers as a percentage on the first deposit (s). And that can add up well. These bonuses start at 50% and can go up to 400%. And then it seems logical to grab the casino with the highest bonus percentage, right? Wrong. The probability is particularly great that this bonus of 400% has very bad bonus conditions. And that makes it almost impossible to ever pay out the bonus. Effectively, you will always lose your first deposit. It is much wiser to play at a casino where you have a realistic chance to unlock the bonus. It is therefore very important to know how casino bonuses work, what to look out for and how to get the most out of a casino bonus. Cash back bonus: you receive a fixed percentage of your deposits or your losses on your account. This can then be re-used or (if that can be paid immediately). Every online casino gives away casino bonuses in one way or another. In exchange for your patronage, the casino gives something back. Bonus funds can never be withdrawn directly (with the exception of Casumo) and transferred to your bank account or electronic wallet . The casino would like you to try their site and does not mind if you occasionally win and pay a casino bonus. If you do not always win. That is why bonus conditions exist. 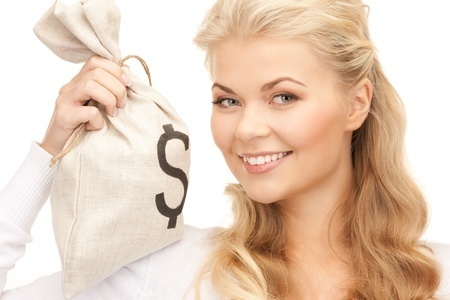 These are rules that you must meet if you want to convert bonus money into real money. Good reading of the bonus conditions is half the work if you want to get the most out of your casino bonus. Here are some useful casino bonus tips and tricks. Whatever type of player you are, experienced or beginner, big or small, these 10 tips and tricks are guaranteed to help you cash in as many online casino bonuses as possible. Will you always succeed in turning your casino bonuses into profit? Certainly not. But you will significantly increase your chances. After reading this article you will also know the difference between a good casino bonus and a moderate or even bad casino bonus. The first tip is particularly important: you MUST always take this step first before you even think about making a deposit: read the bonus conditions! All casinos have the rule that bonus money must be used a number of times before you can freely dispose of them. This wagering requirement is also called playthrough requirement or wagering requirement. The lower the betting conditions, the greater than the chance that you can unlock the bonus before you go through all your balance. Ideally, you are looking for a betting condition that is between 25x and 40x the bonus. If the wagering requirement is higher, it becomes difficult to unlock the bonus. We have seen casinos that have set the wagering requirement of the bonus at 80x, 120x or even 200x. With this kind of betting conditions it is almost impossible to free your bonus. You do well to leave such a casino on the left. You get a welcome bonus of € 75 with a round playing condition of 30 times the bonus. This means that you have to bet 30 x € 75 = € 2,250 in total before you can cash the bonus. Compare this to a round playing condition of 100x, where you have to bet € 7,500 to get exactly the same result. You can always find the betting conditions in the bonus terms and conditions, the FAQ or under bonuses or promotions. If in doubt, always contact the helpdesk. Our second tip: before you make a first deposit it is important to compare the bonus percentage and the maximum bonus you can get. Most online casinos give a welcome bonus of 100% bonus on the first deposit. But some casinos go up to 150% or even up to 200%. There are also big differences in the maximum bonus amount of € 50 to € 100 or € 250. If both the percentage and the maximum bonus amount are included in your calculation, then you know which amount is your optimal first deposit amount. If the bonus percentage is 150% and the maximum bonus is € 150, then do not deposit more than € 100. You will then receive € 100 + € 150 = € 250 balance after your first deposit. You can only make a first deposit once … make sure you get the most out of it! Check before you deposit how much the casino game you plan to play contributes to the commitment. Not every casino game contributes as much and some games (often live table games) do not even contribute to the wagering requirement at a number of casinos. Slots always contribute a full 100%, although some slots contribute significantly less. Games like blackjack, roulette and video poker always contribute a much lower percentage. There are even casinos where Roulette contributes 0%. So always pay attention, especially if you are a roulette player. Tip 4: read the fine print! A trick that is often played out: there is 30 x (D + B) in the conditions instead of 30 x Bonus. This means that you have to play around 30 times the bonus (Bonus) + the deposit (Deposit), which in case of a bonus of 100% effectively amounts to 60 times the bonus. What we also sometimes see, especially with Reload Bonuses: 25% bonus with terms and conditions of 30 x (D + B). If you deposit 50 euros then you must bet 30 x (50 + 12.50) = 1.875 euros. Almost 1,900 euro bet for 12.50 euro bonus suddenly sounds no longer so attractive, right? Can you win progressive jackpots with bonus money? It would be a shame if you win a million jackpot and you can not cash him because you have taken him with bonus money. Check the conditions! Is there a maximum amount that you can win with bonus money? If so, decide for yourself if you can live with it. I have seen bonus conditions with a 200% bonus up to € 200, with a 120x commitment and a maximum payout of € 200 on the bonus money. In other words: an impossible commitment obligation with which you can never double your money. Skip directly, such a casino. Can you directly pay out winnings from free spins? At some casinos (such as Genesis Casino ), but not at others. Free spins are always welcome, but they only become really interesting if you can cash out winnings from free spins right away. Casinos love new customers. What they do not like: advantage players, also known as bonus abusers. Therefore, they take care that you do not violate their terms and will immediately withdraw your bonus and block your account if it appears that you are not following the rules. So what you do not have to do: play single chances at Roulette (for example, even and odd or red and black) at the same time in order to be able to meet the betting requirement more quickly. Also do not: play with a high stake. The maximum bet is often between 5 and 8 euros per spin. So do not set higher than this maximum bet. Did you accidentally press the max bet button once (it happens to everyone sometimes) please contact the helpdesk directly and give it. It is therefore not advisable to change your game pattern drastically as long as there is still a bonus active. If you play slots and you want to unlock a bonus, always choose slots with the lowest possible volatility. This means that you win a lot of small prizes and, above all, will lose a little. Which again increases the chance that you will unlock your bonus on time. 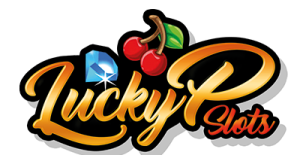 Examples of low and medium volatility slots are Starburst, Go Bananas and Blood Suckers from Netent, Gemix from Play n Go and Crystal Queen from Quickfire (all play at LeoVegas ). Tip 7: did you win a big prize? Let the casino bonus expire! A very good tip that can give you a lot of money. At most online casinos you always play first with your own money and only when that is up, you play with bonus money. Suppose you have a nice payout of a few hundred euros and have not touched your bonus money yet, then at many casinos it is possible to cancel your bonus. The advantage is that you can immediately have the big prize paid out, without being obliged to comply with the terms and conditions. This means that you have lost your bonus, but if the amount is high enough, that can be a very wise decision. Usually you have to contact the helpdesk to cancel your bonus, sometimes in the payout screen. You doubt whether it is allowed: just ask the helpdesk. A good online casino will look beyond the short term and help you. You are never obliged to accept any casino bonus. We almost always accept a bonus (except if the betting conditions are too disadvantageous) because we see a bonus as extra entertainment money. But we can imagine very well that some players do not feel like bonuses with all the “difficult” conditions that go with it. If you do not want to accept a bonus, ask the helpdesk to remove it. Do that before you start playing. This tip does not always work and is clearly in the category: “never shot is always wrong”, but with loyal and good players he can certainly work well. If you have had a (number of) loss-making session (s), ask the help desk if you can get some free spins or game credits. Most good casinos will be happy to comply with your request, especially if you are a loyal customer. A bonus is fun and attractive, but does not tell the whole picture about an online casino. So do not just look at the amount of the bonus, but also at the rest. How is the game on offer, how friendly and helpful is the help desk and does the casino feel comfortable? These were 10 tips and tricks that can absolutely help you to get the most out of your casino bonus. Why you should always read the bonus conditions.